A month ago, I posted a poll asking our readers if they fear someone citing your web site in the Google Disavow Tool? 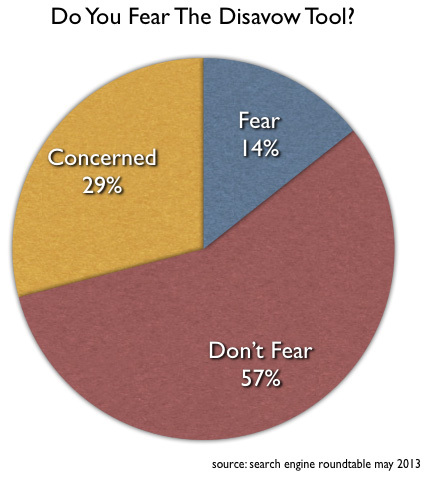 The results are in, with 250 plus votes tallied, that some SEOs do fear it, many are concerned but most say they are not worried by it. Why are some concerned? Well, as we covered, some SEOs are using it as a fear tactic. Forum discussion continued at WebmasterWorld & Cre8asite Forums.